This collector's edition set features multiple items in Pacquiao's personal size. 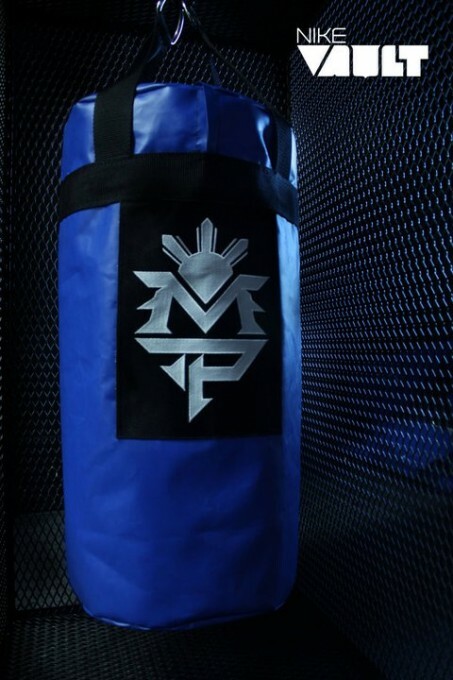 At Nike Vault's "Pacquiao, For The People" rally event today in Los Angeles, a special Pacquiao Heavy Bag Collection will be made available to customers in limited quantities. 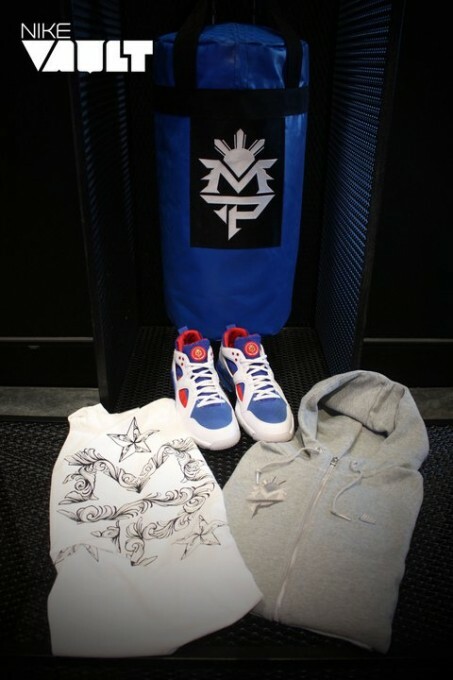 A true collector's item, the mock MP-embroidered heavy bag includes a custom AW77 hoodie, the Three-Stars t-shirt and the recently released Pacquiao Zoom Huarache Trainer Low all in Manny's personal size. 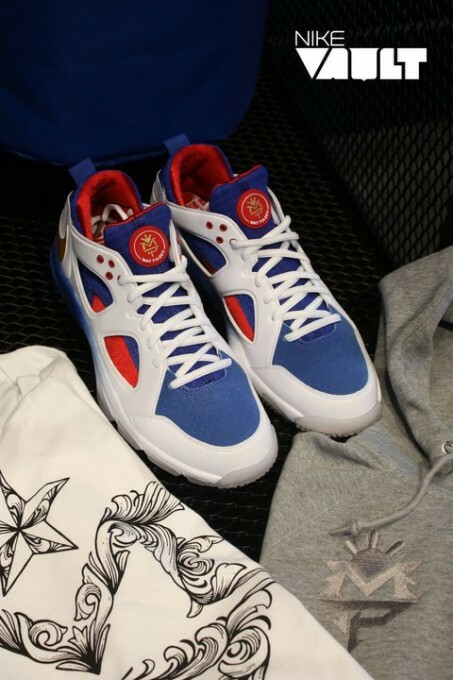 These packs will be exclusively sold at Nike Vault, where Manny himself will be stopping by at 7:00 p.m. PST. For more information on how to attend, visit the Nike Vault Facebook page or call the phone number listed below. Nike Vault at Staples Center 1111 South Figueroa Street Los Angeles, California 90015 (213) 763-2650.